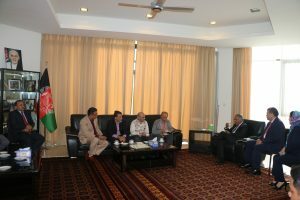 Sunday, September 10, 2017, Professor Dr. Mohammad Humayon Qayoumi, Chief Advisor to the President of Afghanistan, along with H.E. 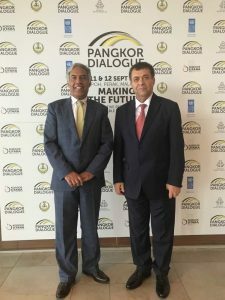 Atiqullah Atifmal, The Ambassador, participated in the PANGKOR DIALOGUE 2017 Perak state of Malaysia. 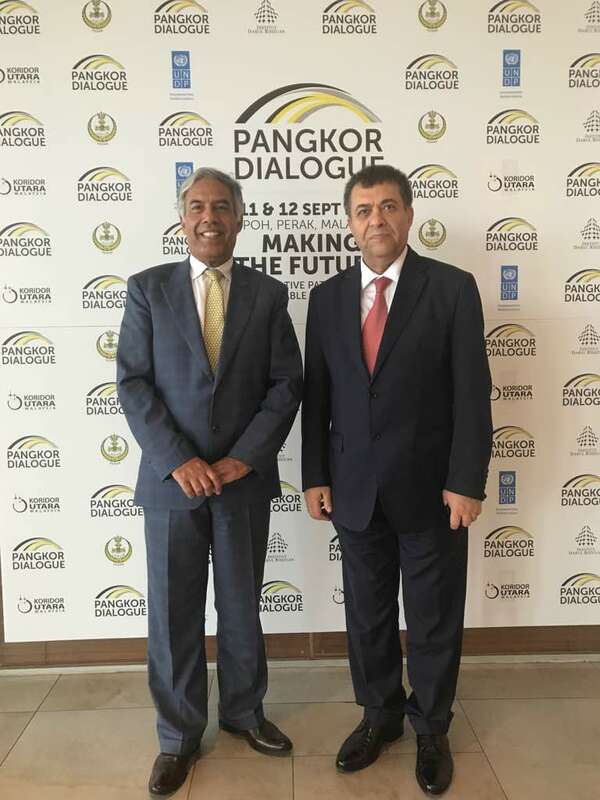 Dr. Qayoumi was invited to the PANGKOR DIALOGUE as one of the speakers from Afghanistan. 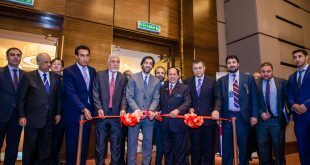 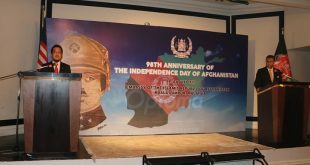 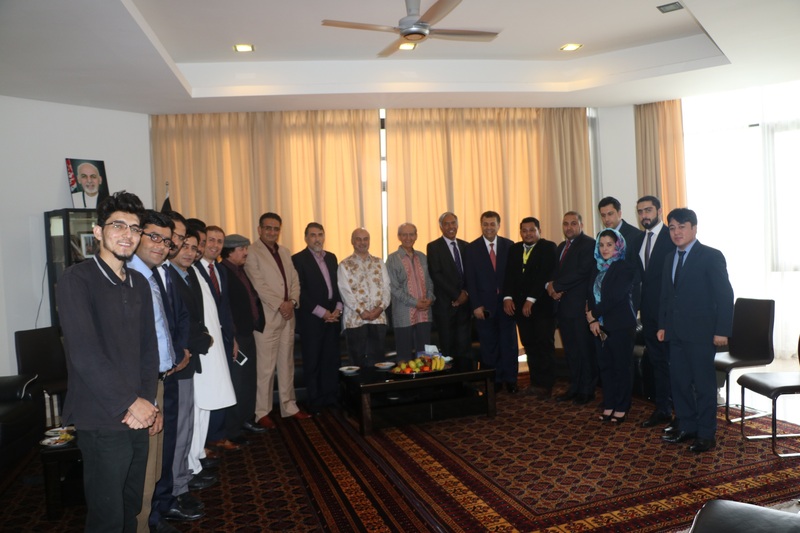 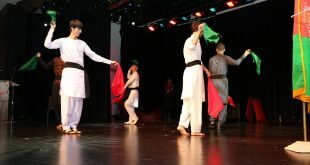 Prior to participating in the event, Dr. Qayoumi met with the Afghan Professors and students, and Afghans residing in Kuala Lumpur. 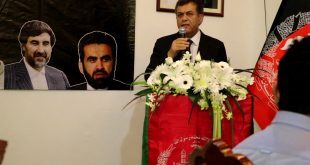 Dr. Qayoumi thanked Dr. Javeed, Professor Dr. Mohammad Naqeeb Ishan Jan and Dr. Yousuf Salim who went to Afghanistan for delivering lectures in Afghan Public Universities facilitated by this embassy. He also heard the problems of the Afghan students studying in Malaysian universities and assured them that he will share their problems with the Ministry of Higher Education of Afghanistan. 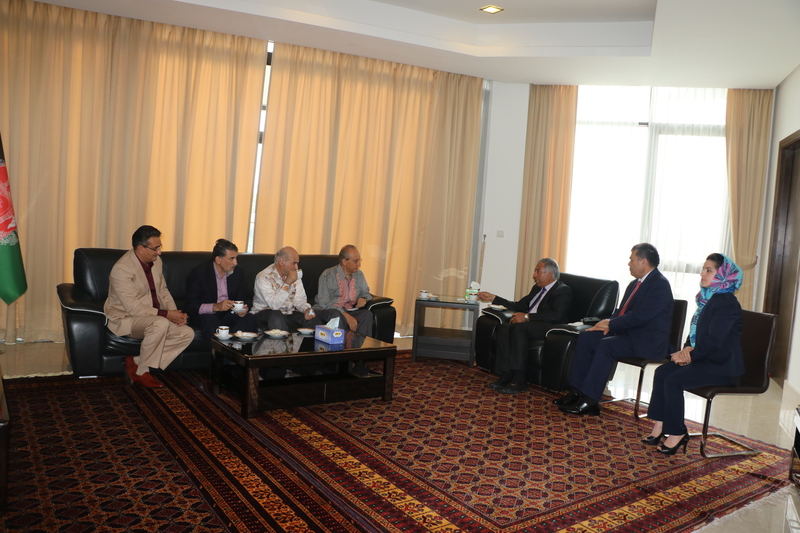 Later, Dr. Qayoumi and the Ambassador departed to Ipoh to participate in the event. 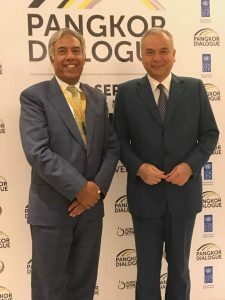 They were welcomed by Datuk Seri Dr. Zambry Bin Abd Kadir, the Chief Minister of Perak state, and thanked them for participating in this dialogue. 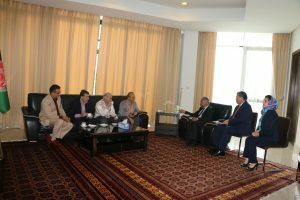 During the meeting, the Chief Minister desired willingness to strengthen the relations between Afghanistan and Malaysia, especially with Perak State. 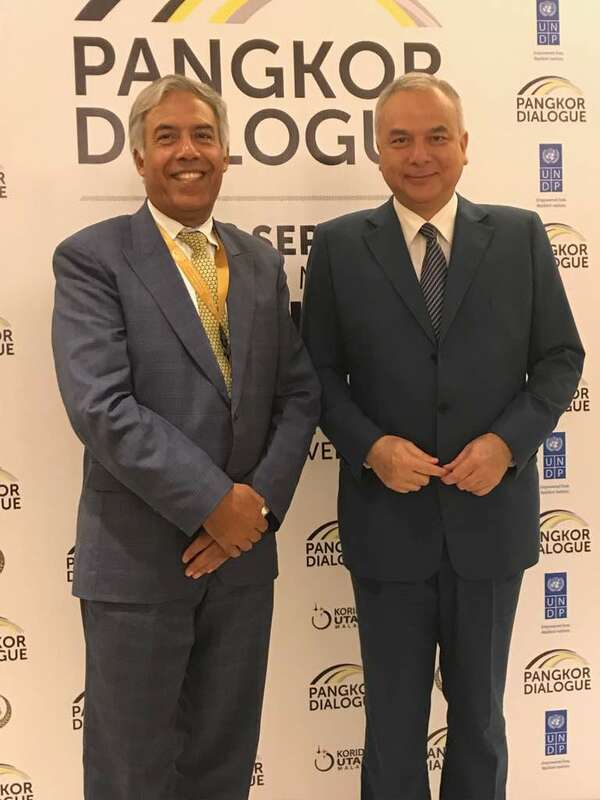 On Monday, September 11, 2017, the two day PANGKOR DIALOUGE was commenced with addressing of the Sultan of Perak, High Royal Highness Sultan Nazrin Muizzuddin Shah, stating the importance such dialogues for the sustainable development goals.